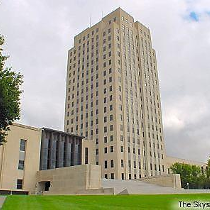 Voters in the North Dakota will decide in a referendum this November if the state should include liquid nicotine in the definition of tobacco products subject to excise tax. The ballot initiative, which seeks to amend the state’s Tobacco Products Tax Law (Chapter 57-36 of the North Dakota Century Code) would also double the rate of excise tax on tobacco products from 28% of the wholesale price to 56 percent. Inhalation devices, such as e-cigarettes, would only be subject to the tax if their packaging contains tobacco or nicotine derived from tobacco. In that case, the entire packaged product would be subject to the tax. The proposed amendments require that all dealers selling liquid nicotine register with the office of the attorney general. Licensed dealers would not be permitted to mix, alter or combine a solution containing liquid nicotine with any other substances in the state, which are as activities of distributor, requiring a separate license.